Without a doubt the most popular order for Solarscreens in the 4x4 / Wagon range is the "Touring Set"
In general, the Touring Set consists of all the windows aft of the front doors. 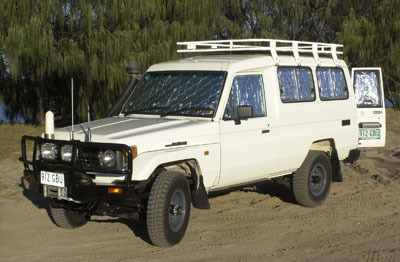 On a Landcruiser, Patrol or Pajero the Rear Set covers the Rear Side Passenger doors, Cargo Sides and Tailgate or Barn Doors. The set consists of 5 or 6 separate pieces all made to fit each individual window. We have patterns for most 4x4s, too many to list. Each set is stored safely in a 210 Nylon Denier Bag. We offer a written 12 month warranty on all our products. 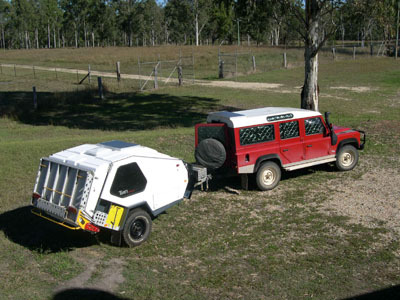 Troopy with a full set of Solarscreens. 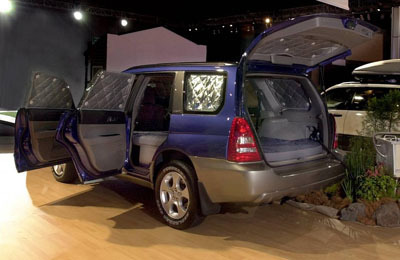 A rear set would no include the front doors or windscreen. Read here for a road test from the Western 4W Driver .